Professor Chin-Chen Chang obtained his Ph.D. degree in computer engineering from National Chiao Tung University. His first degree is Bachelor of Science in Applied Mathematics and master degree is Master of Science in computer and decision sciences. Both were awarded in National Tsing Hua University. 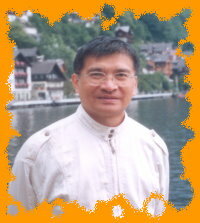 Dr. Chang served in National Chung Cheng University from 1989 to 2005. His current title is Chair Professor in Department of Information Engineering and Computer Science, Feng Chia University, from Feb. 2005. Prior to joining Feng Chia University, Professor Chang was an associate professor in Chiao Tung University, professor in National Chung Hsing University, chair professor in National Chung Cheng University. He had also been Visiting Researcher and Visiting Scientist to Tokyo University and Kyoto University, Japan. During his service in Chung Cheng, Professor Chang served as Chairman of the Institute of Computer Science and Information Engineering, Dean of College of Engineering, Provost and then Acting President of Chung Cheng University and Director of Advisory Office in Ministry of Education, Taiwan. Professor Chang's specialties include, but not limited to, data engineering, database systems, computer cryptography and information security. A researcher of acclaimed and distinguished services and contributions to his country and advancing human knowledge in the field of information science, Professor Chang has won many research awards and honorary positions by and in prestigious organizations both nationally and internationally. He is currently a Fellow of IEEE and a Fellow of IEE, UK. And since his early years of career development, he consecutively won Institute of Information & Computing Machinery Medal of Honor, Outstanding Youth Award of Taiwan, Outstanding Talent in Information Sciences of Taiwan, AceR Dragon Award of the Ten Most Outstanding Talents, Outstanding Scholar Award of Taiwan, Outstanding Engineering Professor Award of Taiwan, Chung-Shan Academic Publication Awards, Distinguished Research Awards of National Science Council of Taiwan, Outstanding Scholarly Contribution Award of the International Institute for Advanced Studies in Systems Research and Cybernetics, Top Fifteen Scholars in Systems and Software Engineering of the Journal of Systems and Software, Top Cited Paper Award of Pattern Recognition Letters, and so on. On numerous occasions, he was invited to serve as Visiting Professor, Chair Professor, Honorary Professor, Honorary Director, Honorary Chairman, Distinguished Alumnus, Distinguished Researcher, Research Fellow by universities and research institutes. He also published over serval hundred papers in Information Sciences. In the meantime, he participates actively in international academic organizations and performs advisory work to government agencies and academic organizations. Xinpeng Zhang received the B.S. degree in computational mathematics from Jilin University, China, in 1995, and the M.E. and Ph.D. degrees in communication and information system from Shanghai University, China, in 2001 and 2004, respectively. Since 2004, he had been with the faculty of the School of Communication and Information Engineering, Shanghai University, and he is currently a Professor of School of Computer Science, Fudan University. He was with the State University of New York at Binghamton as a visiting scholar from January 2010 to January 2011, and Konstanz University as an experienced researcher sponsored by the Alexander von Humboldt Foundation from March 2011 to May 2012. He served IEEE Transactions on Information Forensics and Security as an Associate Editor from 2014 to 2017. 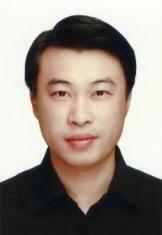 His research interests include multimedia security, image processing, and digital forensics. He has published more than 200 papers in these areas.